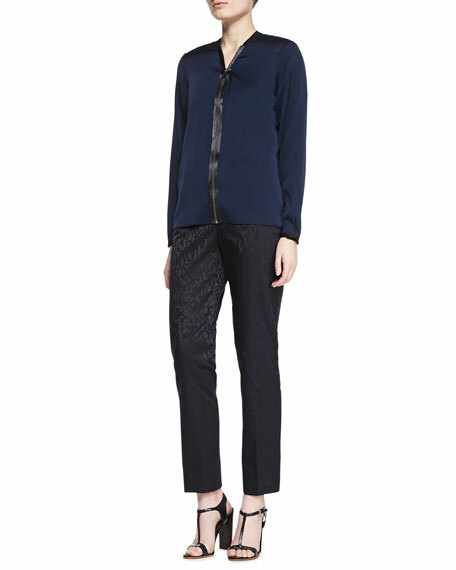 Elie Tahari Jillian animal-print pants bring wild excitement to your black trouser collection. 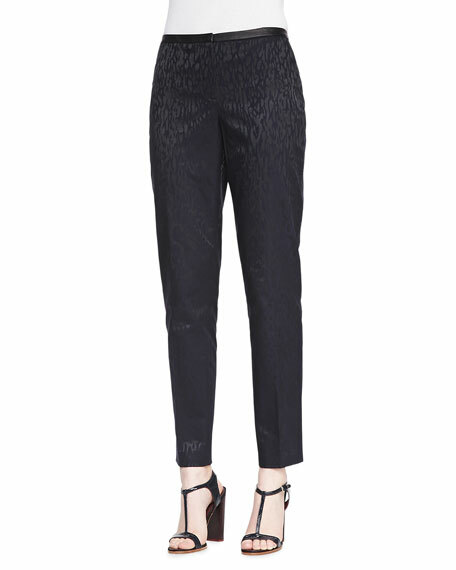 Jillian animal-print stretch jacquard pants. Straight legs fall to ankle. Cotton/polyester/spandex; combo: polyester/spandex; lambskin trim; polyester lining; dry clean.